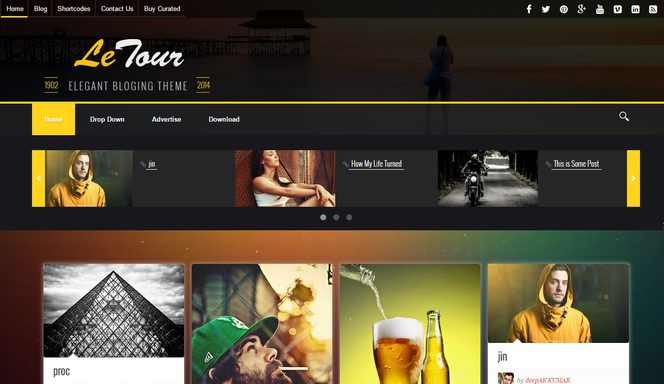 Check out our latest new theme release: Le-Tour. Le-Tour is a beautiful, responsive, and easy-to-use blogger template built with style. It’s a perfect fit for bloggers, writers, photographers, and artists who need an effortless way to showcase articles. Le-tour is Responsive blogger template, with many premium features, the theme is highly optimized for both mobile and desktop platforms. We wrote a very detail and clear user guide to help you to easily work with Le-tour Responsive Blogger Template. But if you have any questions, please feel free to ask on our comment system. Good template. Liked it. Thanks.